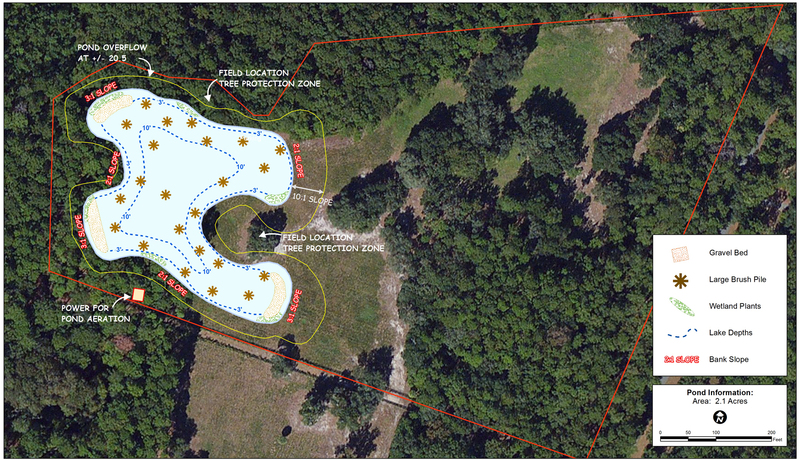 Quality Lakes Inc. was contracted to design a pond for a client in South Carolina. The challenge was meeting the permit requirements for maximum surface acreage and maximum storage capacity which limited the overall size of the pond. 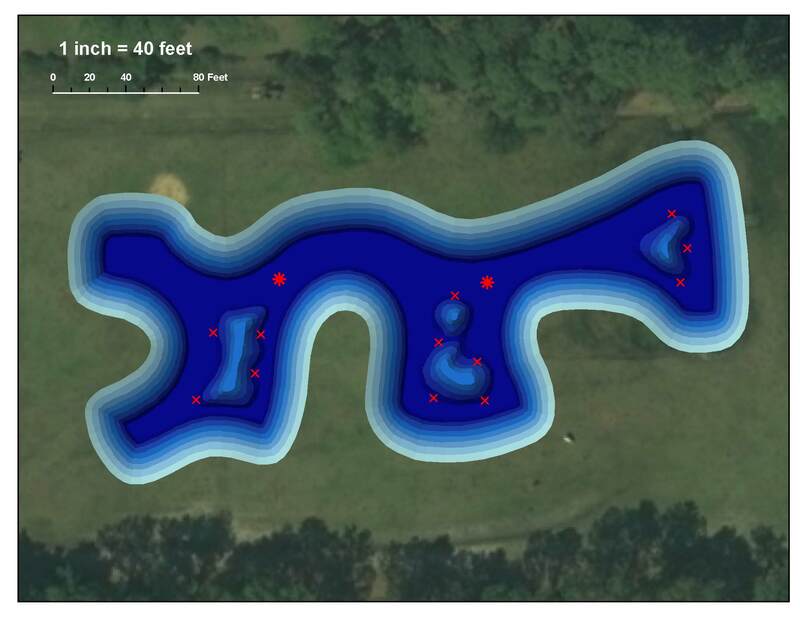 “By utilizing the lake design tools available through our partnership with The Mapping Network, we were able to design a pond to meet permitting specifications while maximizing fish habitat and access by bank anglers to all regions of the pond” said Mr. Bales. This entry was posted in Lake Map and tagged lake, lake construction, lake design, Lake Map, pond construction, pond design, Quality Lakes, south carolina lake map, The Mapping Network, Trophy Bass, Trophy Lake on October 15, 2014 by Moderator. 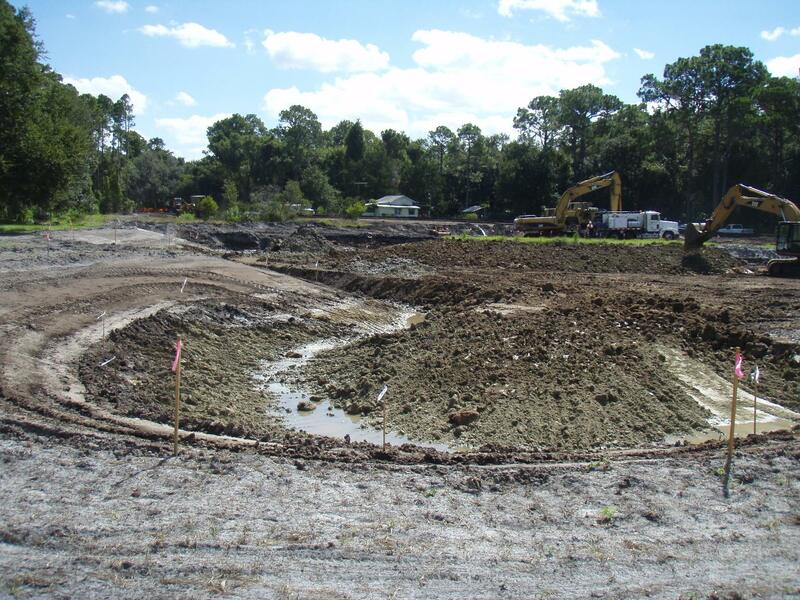 Quality Lakes Inc. was contracted to design a pond for a client to use as a back-up fishing location for their guests on days the St. John’s River was too rough for a guided trip. The challenge was meeting the permit requirements for maximum surface acreage and maximum storage capacity which limited the overall size of the pond. 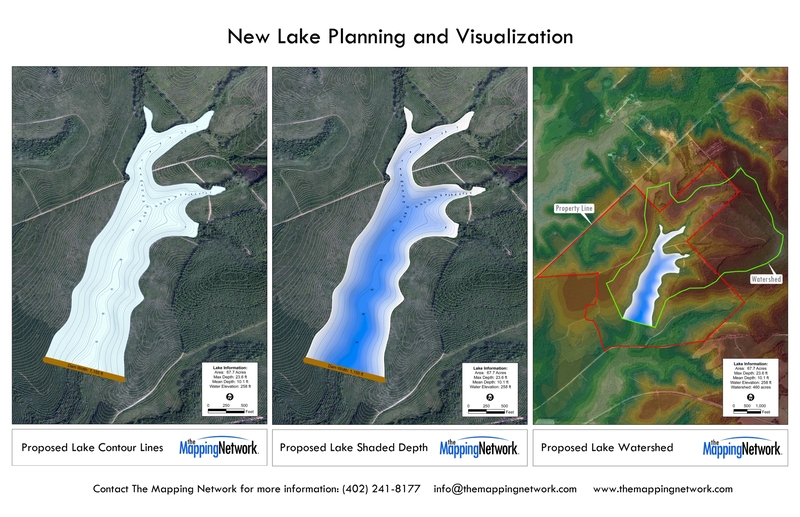 By utilizing the lake design tools available through our partnership with The Mapping Network, we were able to design a pond to meet permitting specifications while maximizing fish habitat and access by bank anglers to all regions of the pond. Construction is underway and should be wrapped up in October. This entry was posted in Lake Map and tagged lake, lake construction, lake design, Lake Map, pond construction, pond design, Quality Lakes, south carolina lake map, The Mapping Network, Trophy Bass, Trophy Lake on January 13, 2011 by Moderator. This entry was posted in Lake Map and tagged lake, lake construction, lake design, Lake Map, pond construction, pond design, Quality Lakes, The Mapping Network, Trophy Bass, Trophy Lake on September 16, 2010 by Moderator.